Martin’s BASSMASTER Tournament Trail career includes an unprecedented list of achievements. He holds the records for most tournaments won at 19 and most B.A.S.S. Angler-of-the-Year titles at nine. 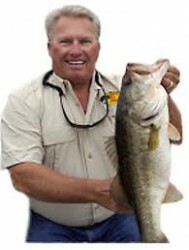 In addition, he has made 25 appearances in bass fishing’s world championship event, the BASS Masters Classic. Bass fishing is the common thread of Martin’s angling career by virtue of his early dominance of tournament fishing. In the early years of the sport, he commandeered the winner’s circle the same way the New York Yankees reigned over Major League Baseball, the way the Green Bay Packers once owned the National Football League. Martin is credited with inventing a technique called “pattern” fishing for bass, the very basic formula for successfully catching this species. It involves a process that involves a strategy of equating seasonal conditions with relevant habitat preferred by the bass. Martin’s incomparable level of enthusiasm is a big part of his personality. He has the vitality of a child when it comes to fishing that is refreshing to viewers. Known mostly for his bass fishing, he is adept at catching all species of game fish – an attribute that adds variety to his show. 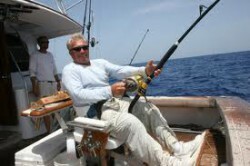 A professional angler and lure inventor by occupation, he enjoys hunting in his spare time.